HubSpot is a remarkable, lead generating automated marketing platform. 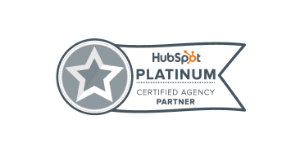 As a HubSpot Platinum Certified Partner, we walk you through the steps to getting HubSpot working for you. Engaging an automated marketing platform in the cloud is a big step, but the returns can be quite remarkable. Combined with content marketing, a successful inbound marketing strategy can generate more leads for your business than you ever thought possible. If you would like to learn more about what this means check out the following pages. If you would like to learn how we implement HubSpot for you business read on. This is a powerful process, so we give you our best - the #1 and #2 in the business. Adam Steinhardt - CEO and Zaahn Johnson- Operations Manager. The two digital marketing powerhouses are backed by a team boasting a variety of skill sets, providing you with a strong implementation team. Somehow you have heard about us and or HubSpot, and now you would like to know more. You can learn more about The Kingdom here, and HubSpot here. Many people have attended one of our free seminars that give away loads of free information and introduce you to the power of content marketing. Best suited for a person with the initial interest in HubSpot™ and the process. Let's call them The Champions. Typically these are people enthusiastic about innovation, sales managers, keen to abandon cold calling. Innovators who are looking for new/easier ways to get explosive lead generation. Marketing Mangers, Assistants, Social Media Managers, Business Owners, Innovation partners, Project Managers, people looking for a better way. People introduced to content marketing, and it's power. We give you an introduction to content marketing, our Grow Sales Fast™ System and the power of HubSpot™. This meeting has an overview of the inbound methodology and how it is so powerful. We discover your challenges, giving an overview of the HubSpot™ platform, its remarkable range of tools and how it might be able to help. The Champion and The Decision-making team. We get in the room with the team that is going to make the decision. We give a tailored demonstration of the HubSpot™ platform, and discuss how it and the 7 staged approach of the Grow Sales Fast™ System dovetails to create a powerful lead generating sales and marketing strategy for your business. We typically reveal an innovative preliminary plan for your business. We demonstrate the power of the HubSpot™ platform and discuss how it can work for you. We answer questions and discover your needs. Following empowerment by the decision-making team, we discuss the specifics of your strategy that then allows us to create the custom proposal for your business. We research your solution. It is reviewed, then we create the plan and distribute it, usually by email. This presentation includes an overview strategy, what you are getting for your investment, the investment costs and the outline of the HubSpot™ investment for you to consider. You like and agree in principle or communicate with us any objections, questions, or concerns you would like to consider. Once we are in agreement in principle, we organise a conference call with our Sydney based HubSpot™ Channel Partner Representative. We host a telephone meeting with our very friendly and helpful HubSpot Channel Partner, Emma Reading. Emma will help you with understanding the HubSpot financial commitment and confirm the correct HubSpot package for you. We confirm and negotiate the appropriate commitment to the process financially. The Grow Sales Fast Business System has a comprehensive list of key achievement points. Each engagement contract is customised to your business, to suit your digital marketing requirements. We give you full disclosure of all costs, fees and disbursement. We then establish your HubSpot Account, once the Grow Sales Fast Business System and HubSpot contract is signed. We aid you with the sign on paperwork for the HubSpot platform. Step 7: Begin the onboarding process. This involves planning meetings and establishing the training regime for the business. We fire up the platform for the first time with you and help you develop personas with your database and get you familiar with the platform. We help you get all your users setup, with their privileges and establish your credentials - preparing your platform for action. We assist you to Import your list of contacts into HubSpot™. This can take the form of an Excel spreadsheet, MailChimp database, LinkedIn Contacts, Mail client contacts, Facebook Contacts plus we can even scan your business cards into HubSpot™ to boost your database. Begin the inbound campaign building process. We start with creating your goals then the campaign, landing page, call to action, blog and email out. Then we send and delight your customers and the content marketing process has begun. We assist with all stages including the copywriting, graphic design and the technical digital marketing wizardry required to get success for you. Speak to The Kingdom and discover how our inbound marketing and lead generation techniques help Melbourne, Perth and Adelaide businesses grow sales fast using the HubSpot Marketing and CRM platform.